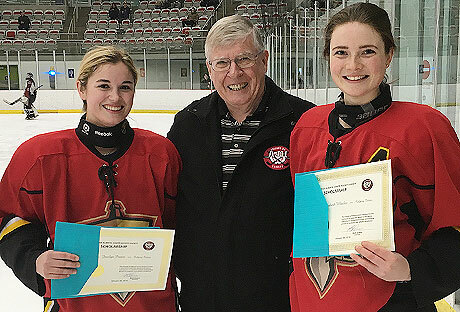 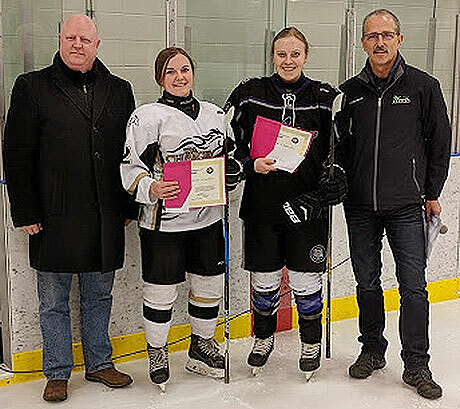 Jocelyn Prince and Libby Wheeler of the Calgary Titans, winners of 2018 Friends of Alberta Junior Hockey Society scholarships, are presented with their scholarships by Bob Green from the Friends of AJH Society. 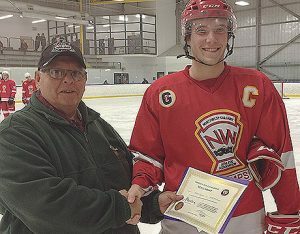 Erik Donald from the Bonnyville Pontiacs is awarded a Friends of Alberta Junior Hockey Society Scholarship by Don Davidge (L) and Glenn Ball (R) of the Friends of AJH Society. Don Davidge and Glenn Ball from the Friends of AJH, present Sydney Kelndorfer of the Irma Charges and Devyn Reid from the Edmonton Wolves with their Friends of Alberta Junior Hockey Society scholarships. 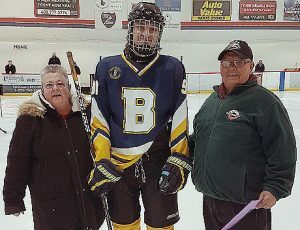 Aaron Schmidtke of the Calgary Jr. C. Blackfoot Chiefs is presented with a Friends of Alberta Junior Hockey Society scholarship by Cathy Hosowich (left) from Hockey Calgary Jr. Council and Don Allan (right) from the Friends of Alberta Junior Hockey Society. Don Allan of the Friends of Alberta Junior Hockey Society presents Kyle Exner of the Calgary Jr. Stamps with the 2018 Mark Goodkey Memorial Charles S. Noble Scholarship. 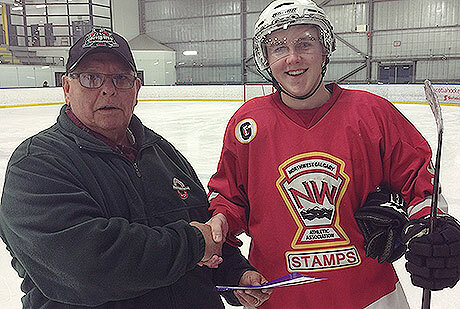 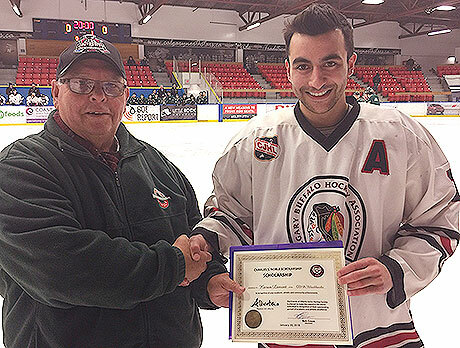 Don Allan of the Friends of Alberta Junior Hockey Society presents Calgary Stamps’ player Caleb Laser with his 2018 Charles S. Noble Scholarship. 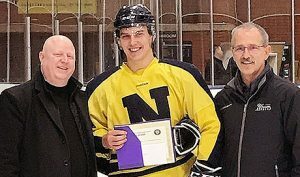 Don Allan of the Friends of Alberta Junior Hockey Society presents 2018 Charles S. Noble Scholarship winner Kieran Lamont with his scholarship. we are now on twitter @friendsofajh will reach us. 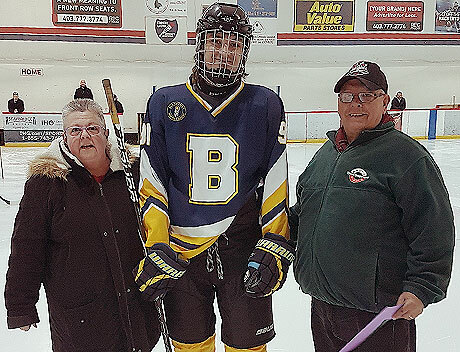 some of the management are still working on perfecting their use, but we have a couple who are very good, so responses should be quick.